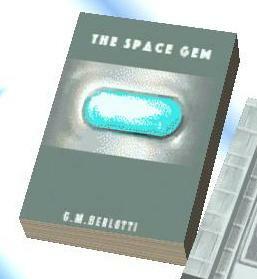 The Space Gem, written by Berlotti. G.M. Berlotti is a character in the 3D Universe who is mentioned in Grand Theft Auto: San Andreas. G.M. Berlotti is an author with one of his books, "The Space Gem", be found in a number of safehouses. The 'G.M' may be a reference to American car manufacturer General Motors Company. This page was last modified on 20 June 2014, at 17:25.